Relay For Life is the signature event for the American Cancer Society. Join together for a full evening of activities, entertainment and celebration to remember loved ones lost, honor survivors of all cancers and take up the fight against cancer. Relay is open to the public and family-friendly. It’s a great way to kick off your Rochesterfest activities! Find the hidden Treasure Hunt Medallion to win $1,000! The Treasure is a special acrylic medallion, hidden in the city of Rochester on public property. Mystery Monday Bonus Clue at both Whistle Binkies Pubs. Search, but don't destroy the natural beauty of Rochester or the Treasure hiding place. Country breakfast of pancakes, sausage, cheese, juice, milk & coffee from 6:30a-11:30a. Free bus ride from Autumn Ridge Church from 6:30am to 10:45am. Free parking at the farm. Tractor-drawn wagon rides, free petting zoo, educational agricultural displays and exhibits. Watch milking take place. Activities for kids. This is a handicap-accessible event. Relive WWII history and beyond through the big band sound, swing dancing (free lessons available from Dahl Dance), mess hall food, exhibits and vintage planes. 1940’s costume contest. Silent auction. Door prizes. Feed the Bear - 10:00 a.m.
Feed the River Otters - 1:00 p.m.
Bird of Prey Feeding - 3:00 p.m.
Dog games, vendors, prizes, samples, make your own Dog Disaster Kits, Brother Wolf animal communicator, food provided by Girl Scouts. Plus information on classes, obedience, rally and more. The 13th Annual Rochester Juneteenth event is our community’s celebration of the emancipation of slaves. Activities include: entertainment ranging from gospel choirs to R&B music, spoken word, dance and more, including Rochester’s own KnuFunk band. Vendors on-site with food and drink. Face painting, games and other activities to educate and entertain children. There’s an organization fair with resource information and other products and services. Plus a program with information on the history and significance of the Juneteenth celebration. Everyone is invited as we join together in unity to celebrate our freedom. East Silver Lake Park - 705 E. Silver Lake Dr. Celebrate Father's Day with family-friendly activities, competitions, ice cream treats and fun! This event is hosted by Father Project, a program of Family Service Rochester and the Rochester Area Fatherhood Network. Due to the Heat Advisory, the Rochester Community Band Concert in the Park has been cancelled. Look for the Rochester Community Band in this year's Rochesterfest Parade on Sat June 23rd. Bring your lawn chair or blanket and enjoy the sunshine and fresh air at this outdoor concert. Popcorn and lemonade provided. On June 16th Movies in the Park features “The Sandlot” (PG). Celebrate the 25th anniversary of this beloved movie classic. Bring your lawn chair or blanket and gather in Central Park for this FREE, fun and family-friendly outdoor event. This year's treasure is a medallion, hidden somewhere in the city of Rochester, on public property. Find the treasure and win $1,000! Extra clue at Hiller's Flooring America on 6/16 and Whistle Binkies Pubs on Monday, June 18. Get today’s clue from ABC 6 News Good Morning and at Rochesterfest.com. Extra clues at Hiller's Flooring America and Whistle Binkies Pubs. *Happy Hour Beer Special: 4:00pm - 5:30pm - Get a dollar off with your Rochesterfest button! Continuous loop trolley shuttle service from downtown to Soldiers Field Park and back. Boarding at 101 1st Ave SW in front of Marriott Hotel. Park in the Salvation Army Store south parking lot near Kmart and take the free trolley shuttle to Soldiers Field Park and back over the midday (11am-2pm). Look for the signs. Bring your pet to the fest! Don’t have a furry friend to put on a leash? No worries! You can visit with vendors to learn about training, adoption, volunteering or fostering with various organizations including Leashes and Leads, Camp Companion and Bone Appetit Canine Bakery and more. Enjoy games, activities and ice cream by purchasing a $5 wristband. Ice cream eating contest at 6pm. Everyone can enjoy the free concert by ‘Six Mile Grove’ . All donations benefit PossAbilities. Preview for Friends members only. You may join at the door. The Friends of the Rochester Public Library will be selling over 20,000 books, DVDs and CDs. ALL proceeds support the Rochester Public Library. Enjoy a 30-minute narrated wagon ride that begins in the horse trailer parking lot and loops through Chester Woods’ beautiful prairies and Dam overlook. Free park entry for the day with a Rochesterfest button. Get your team together and enjoy Manic Monday Trivia at Rochesterfest. Play for a round or stay for the night. We’ll also rotate trivia every half-hour with a fun new interactive music game from Spark DJ. The Machine Shed returns to Rochesterfest with a Super Mario Kart 8 video game round-robin tournament. All ages are welcome to compete for prizes. Grand Prize is a Nintendo Switch ($300 value)! There’s also a Cosplay Costume Contest! Cosplay means ‘costume play’. Come dressed as your favorite character from a movie, book, video game or mashup. There will be prizes for best costume, audience favorite and more. Top prize is $100! UNRAVELED Escape Room is bringing some of their exciting interactive puzzles to Rochesterfest! Can you and your team find clues and solve the mysteries? Get a sample and learn more about what UNRAVELED Escape Room offers for friends and family, team building and special events. Get a free book with your Rochesterfest button. Join us for lunch and 'Celebrate Art' at the Fest. Participate in a hands-on painting activity with Color Me Mine that will support Channel One’s annual Empty Bowls fundraiser. For a $10 donation, you can paint and donate your bowl to support this initiative. Visit with and watch various other artists as they share their techniques and artistic talents! Infused with energetic curiosity, SkyVault explores musical comedy improvisation through an indie-folk and jazz soundtrack. Every Tuesday throughout the month of June, enjoy live entertainment on the patio of 125 Live. Live music curated by the Jive Mill. Food and drink available for purchase. This event is open to the public. All ages welcome. $1 off drinks with your Rochesterfest button. Bring a lawn chair or blanket or join us in the bleachers to listen to these talented local musicians play a variety of Concert Band music. Has anyone found the $1,000 Treasure Medallion yet? If not, get today’s clue from ABC 6 News Good Morning and at Rochesterfest.com. $35 coupon book includes 40 shots, 1 raffle ticket & local coupons. (Coupon books can be purchased at Soldiers Field, Eastwood, Northern Hills, Hadley Creek Golf Courses, Charlie's Eatery & Pub, Rochester Indoor Golf Center or from any Elks member). Two sessions per day, $300 top prize per session. Finals: Fri June 22nd at 6:30pm at Soldiers Field Golf Course hole #3. A hole-in-one in finals wins $1 million, closest to pin wins $1,000. All proceeds benefit First Tee Rochester and Elks Care-Elks Share. ***There's a Pre-Sale Event- Friday June 8th at 5pm at Charlie's Eatery & Pub. Enjoy Charlie's famous Friday night fish fry and save $5 off your coupon book for the Million Dollar Shootout! Come down to the fest and play Bingo! Free! All ages welcome. Prizes for kids and adults. Celebrate service by visiting with first responders, veterans groups and various non-profit organizations that consistently have volunteer opportunities. Participate by saying ‘thank you’ or signing up to support a group in our community! 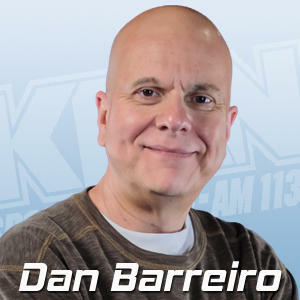 "10 Who Make A Difference"
Ten outstanding individuals and groups within Southeastern Minnesota and Northern Iowa who have made an impact in their community through volunteering will be recognized. Members of Rochester Area YFC Teen Gospel group perform along with gospel singer and Elvis Tribute Artist Brad Boice. Join us for an evening of family fun! Over 20 booths featuring family activities, games, challenges, live animals, crafts, demonstrations plus Walmart boys and girls bicycle giveaway! 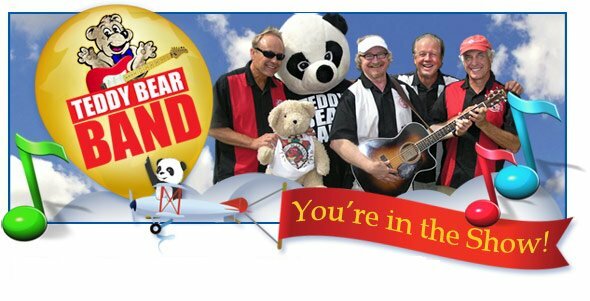 Stage entertainment includes a performance by the popular Teddy Bear Band and more! Plus, activities from the Rochester Area Builders near the Family Service Rochester’s “Once Upon A Playhouse’ display. Find out how you could win a playhouse! Come and meet representatives from several Rochester area sports organizations, including many youth sports groups. Take part in various games and sports activities while learning more about the organizations, their seasons, camps, etc. Plus register to win prizes. Fun and informative! Join us for a relaxed outdoor worship on the east lawn of Zumbro Lutheran Church. Honors Choirs of SE MN presents their 11th annual summer musical “The Wizard of Oz”, featuring a fully-staged show with a cast of 75+, plus a live pit orchestra. Entertainment for the whole family. Everything Health and Wellness in one spot at the Fest! Visit with various vendors about the latest options regarding health and wellness. A Rochester native returns to share her skills and passion for vegetarian and vegan with a cooking demonstration! Contestants must be at least 15 year of age and will need to audition prior to the event. Not all will be chosen to compete. Two rounds, winners advance to Championship Round. Top prize: $300.00. Qualifying winner advances to the ‘Minnesota Sings’ finals in Twin Cities in Sept. Top prize $5,000. Come and share the beauty of the “Night Glow” at dusk. Presented by Lesmeister Balloon Co.
Sponsors: Connections by Avra, RE/MAX Results, Results Title, Midwest Floor Solutions. Finals: tonight at 6:30pm at Soldiers Field Golf Course hole #3. A hole-in-one in finals wins $1 million, closest to pin wins $1,000. Rochesterfest partners with EarthFest to bring you ideas, information and demonstrations that support everything friendly for Mother Earth. If you like funk and R&B music, you’ll love KnuFunk! They play your favorite old-school jams right up to today’s hits, along with some great original songs too. 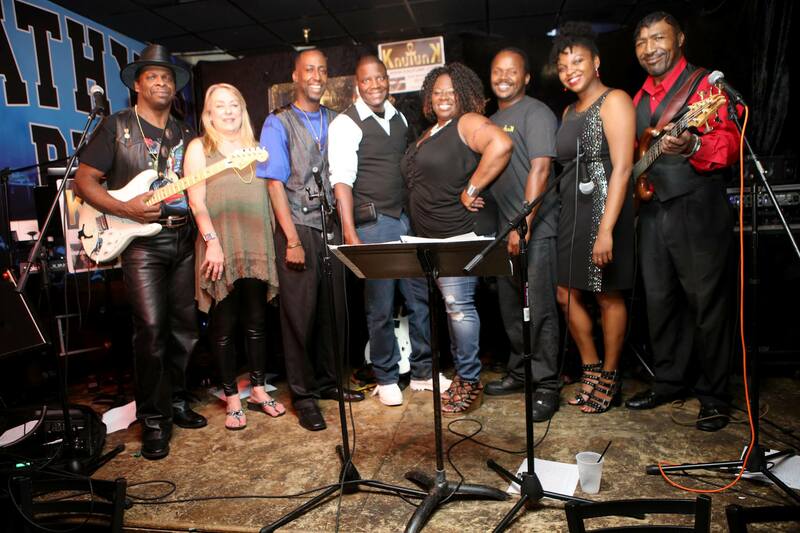 Check out KnuFunk's new original song "Rock Town Getting Down"
The Reunion Band is made up of talented musicians who have previously played in many popular local bands including Booker Mini. Party, dance and sing along to your rock-n-roll favorites from the 60s, 70s & 80s. First ever Rochesterfest Bean Bag Tournament! $25 entry fee per 2-person team. Proceeds go to Cabin Fever/Eagles Cancer Telethon. Double-elimination. Prizes for 1st & 2nd place. Day Makers Kiwanis is holding a golf ball drop to raise funds for educational scholarships for local youth. Come and watch thousands of balls being dropped. If your numbered ball lands closest or in the Bulls-eye hole...you win $500, 2nd closest-$250, and 3rd closest-$100! Plus consolation prizes too. Cost is $5 per golf ball available at Kiwanis booth at Soldiers Field Park or from any Day Maker Kiwanis member. Must be 18 years of age or older to participate. Need not be present to win. A hole-in-one in finals wins $1 million, closest to pin wins $1,000. Catch the awesome mass ascension of beautiful hot air balloons. Register through the website or day of event. The 3rd Annual GRR ‘Believe In Me” Bike Ride is for everyone…individuals to families, beginners to experienced bike riders. Proceeds benefit Rotary Programs for Rochester Area Youth. 13th Annual High Flying Disc Dog Competition. Free to watch! Vendors on site. 5K Run/Walk and Kid’s Fun Run around beautiful Silver Lake to raise awareness and increase screening rates for colon cancer in the Rochester area. Meet at the Root River Park parking lot for a tractor/wagon ride. Foster Arend Park - 051 E. River Road N.E. Join Scheels to demo the latest in paddle boards, recreational kayaks, fishing kayaks and more at Scheels Paddle Demo! Prior to the parade, come and see a variety of classic cars lined up and on display along Gibbs Drive SW, just west of Soldiers Field Park. 4-person team will have a one-hour time limit in competition with other teams. Entry fee of $20 per team will be paid back as prize money. The top-4 teams will be paid a cash prize. Entry fee of $20 due with registration. Prior to the parade, come down to Soldiers Field Park for food, drink & fun! Enjoy the Red Barn Learning Farm petting zoo, Archery Addiction foam tip combat, Maier Tree climb, Park & Rec’s Go! Play! Explore! Mobile Recreation games and more! Plus stage performances from Pure Rock Studios and Allegro School of Dance. Don’t have a Dachshund – no worries! The Dachshund Dash is a celebration of small dogs of all shapes, sizes and breeds (20 pounds and under). Bring your lawn chair and be prepared to cheer these hot dogs along their racing path! Pre-registration is encouraged to ensure your spot in the appropriate heat. The Rochester Amateur Radio Club is doing an exercise demonstrating to the general public how "ham" radio works in a simulated emergency field environment (generators, tents, etc). This will be at the Schaeffer Academy parking lots starting 1pm until sunset. The club also provides Rochesterfest parade communications, other public service communications and storm spotting, and sponsors general ham radio education including license classes and exams. One mile race along the parade route before the parade starts to benefit the Camp Olson YMCA scholarship program. 2:00pm start on 6th St SW. Enjoy southern Minnesota’s biggest parade with over 100 units! The Elks and K of C's support the Parade. Sponsor: Clements Chevrolet ...where buying a car is fast, fair & simple. Something for everyone. Games, inflatables, climbing wall, zipwire, laser tag, silent auction, festival-type food, bands and the best fireworks show in Minnesota at dusk. There's also a pottery demo and a woodcarving demo. Shirts & Skins is one of the most dynamic touring bands in the upper Midwest. They focus on danceable hit songs from a variety of genres, including contemporary pop, classic rock, country and more. This is a band that will keep you singing and dancing all night long! 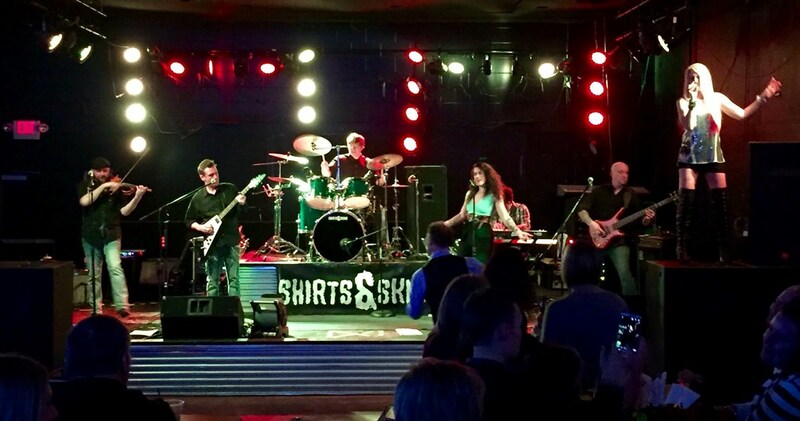 Shirts & Skins brings passion, excitement, and positive energy to audiences all across the United States. Check out this compilation video. Enjoy the beautiful hot air balloons as they launch, fly and glow! Up, up and away! Come see what crew and rowing is all about. Hands-on activities. Also watch local media celebrities Troy Dunken (KROC) and Linda Ha (KTTC) compete, along with local police and fire-fighters. Since 1928, the carillon has remained both a noted landmark and a source of remarkable music in Rochester. Join Mayo Clinic Carillonneur Austin Ferguson for a performance featuring jazz and blues standards, American folk tunes, and even a little Lady Gaga. Bring a lawn chair or picnic blanket, sit back, and enjoy the music drifting down from the sky. *The scheduled renovation of the Carillon will take place after Rochesterfest, so this event will proceed as planned! 1860 Base Ball, played in period uniforms using replica bats and balls. Concessions on site. Raffle drawings with cash prizes! Mark your calendar: the River City Rhapsody Drum & Bugle Corps Show will be back in Rochester on Sunday, July 8th. Eight of the country’s best drum corps will be performing at Rochester Regional Stadium at RCTC. New this year: family package discount tickets. Get your tickets early for the best seats! For tickets and show information go to www.rivercityrhapsody.com or call 608-782-3219. Thanks to all of our terrific sponsors!